The Autumn Harvest ankle boots by Irregular Choice are something quite unique. These stylish and comfortable boots are finished with a velvet upper, floral embroidered details and embellishments. 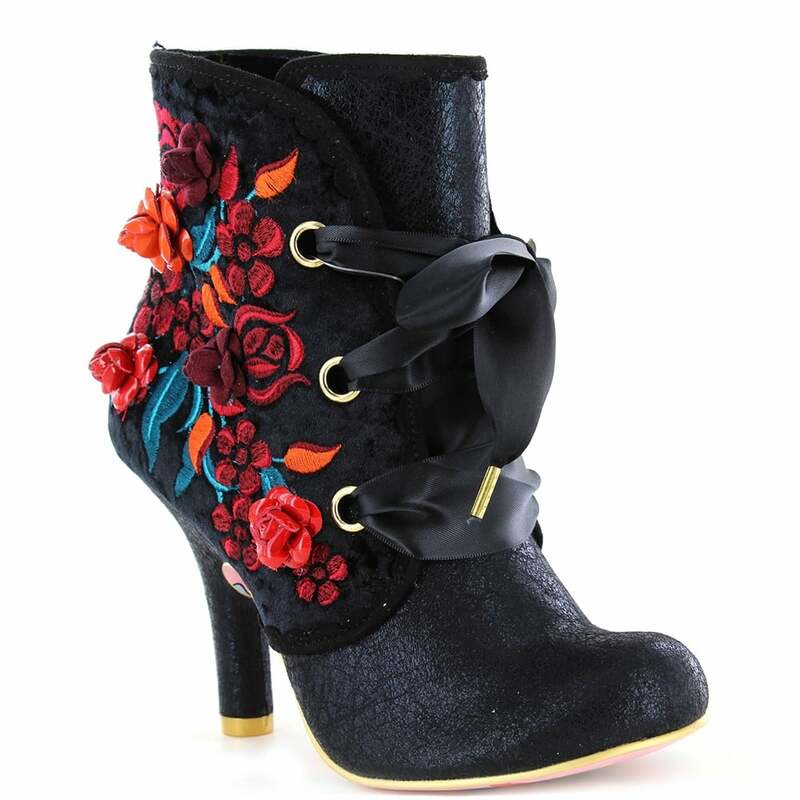 Inside, this beautiful ankle boot is lined in a floral fabric. Fastening the Autumn Harvest ankle boots are colour matched ribbons complete with gold aglets. Completing the Autumn Harvest to perfection is a comfortable 9.5cm heel heel. With their great attention to detail, Irregular Choice have even thought about the sole and covered it with cats and butterflies. You'll be gone with the wind in these nostalgic vintage style floral boots! Get your pair today!